By day, the narrow, medieval streets of Croatia’s most celebrated Old Towns are crammed with people moving like a human wave from one historic point of interest to the next. By night, the streets still are crowded, but the p.m. throng is on a different mission: to have a good time. Old Town Dubrovnik is an open air gallery of architecture, history, and culture. By day, foot traffic crowds the wide, polished-limestone street (Stradun) running through the city’s medieval center. Cruise ship crowds add to the crush. The crowds thin around dusk, only to return into two distinct groups. First, families and seniors show up for dinner and the nightly promenade from 6 pm until about 10 pm. When they leave to put the kids to bed, the 20-somethings show up, dressed for a party. Some wear shoes with heels so high and clothes with necklines so low you have to wonder how they avoid a wardrobe malfunction maneuvering the slippery limestone pavement. Most start their socializing in bars or clubs, but the crowd inevitably spills into the side streets. Soon, there are impromptu street parties in every nook and cranny of Old Town. The following represents a few places where the night crowds like to hang out when they aren’t dancing in the streets. Buža is best described as a hole in Dubrovnik’s wall. It is visible from the wall’s top, but you can’t get there from the rampart—you have to be at street level to enter. Buža is perched atop the flat surface of a rock outcrop located just outside the wall and it is wildly popular even though the drinks are very expensive. 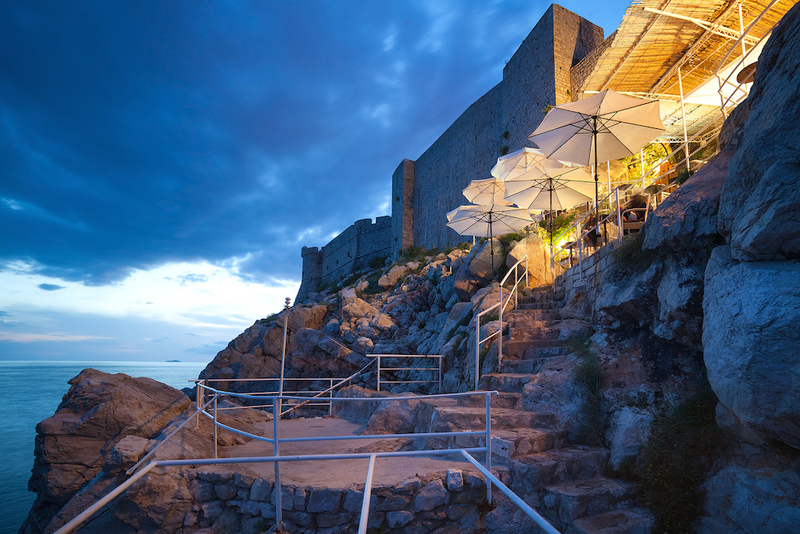 It also is one of Dubrovnik’s most romantic spots at night with sea breezes and music floating in the air as the waves crash into the shore below. Expert tip: No one will stop you from jumping off Buža’s rocks into the sea at night, but it is a bit risky. Stick to the terrace. Buža II is a sister of the original and located nearby, also on the rocks. This trendy watering hole south of the Old Town walls has two personalities, one by day and the other by night. 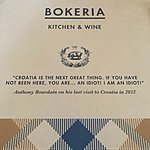 When the sun is shining, Banje (bahn-yay) is Dubrovnik’s main public beach, but Eastwest adds a few luxurious twists to its charm. The club attracts sun-worshipers, families, and watersports enthusiasts to the beach, but it also offers massages and bamboo beach beds covered with fabric canopies for those who want more than a towel on the ground. When the moon rises, Eastwest’s atmosphere transforms into a see-and-be-seen nightclub that attracts a fashionable crowd to its glamorous setting with the soft glow of torches and candles, music, dancing, and spectacular views of Old Town Dubrovnik’s sparkling lights. 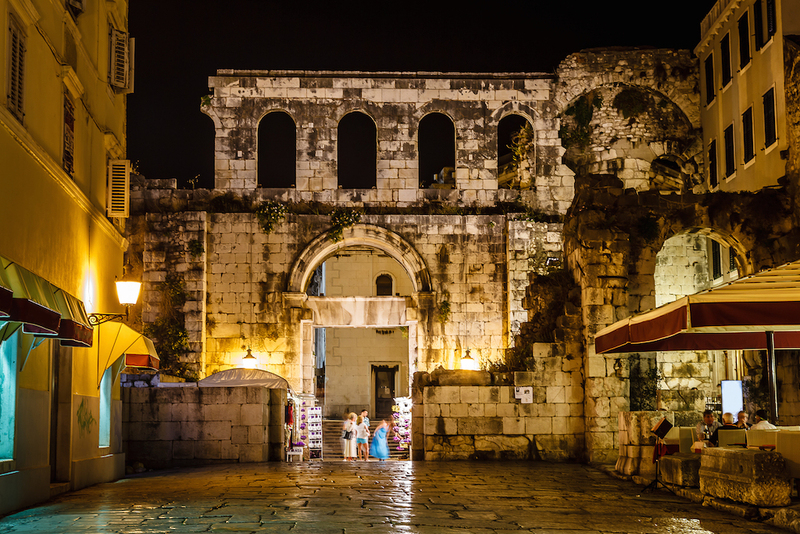 This night club identifies itself as “The Party Fortress,” because it is inside the 16th century Revelin Fort, which sprouts from the Old Town wall near the Ploče (plah-chay) Gate. Revelin is a seasonal club, open in summer only. It serves up trendy music enhanced with cutting edge video technologies such as a holographic screen, lasers, and 3-D projection, all within the arched stone walls of a 500-year-old structure. Go to Revelin to hear internationally known DJ’s spin, dance on the packed dance floor and soak in the of Dubrovnik’s night sky from the terrace. Hvar Town (heh-vahr) at the west end of Hvar Island is notorious for its noisy nightlife and non-stop party scene. This is where visitors arrive by yacht and ferry on a mission to breathe in the sea air, the lavender, and the 24/7 party atmosphere. Hvar Town even has its own open-air party room in St. Stephen’s Square, which has restaurants on all sides. When the bars close, crowds spill into the square to party around its centerpiece, a 16th century well. 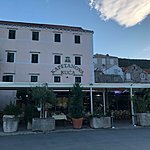 Hvar also has become famous for hosting celebrities who dock their yachts in Hvar’s secluded coves and stay in private mansions to avoid paparazzi. However, every once in a while they party in Hvar Town where anyone can pretend to be famous. Carpe Diem: This restaurant-bar has been a mainstay of Hvar’s party scene for years. It’s location on the waterfront and its non-stop music draw foot traffic and folks from the fabulous boats that park out front. By day, Carpe Diem is decent place for breakfast or lunch and later for happy hour after the beach. But it’s after the dinner hour that the DJ’s crank up the volume on their music and the bar really gets going. Mixed drinks are ridiculously expensive, but the crowd comes for the social scene and spectacle of the bartenders juggling flaming beer bottles that look like flying Molotov cocktails. 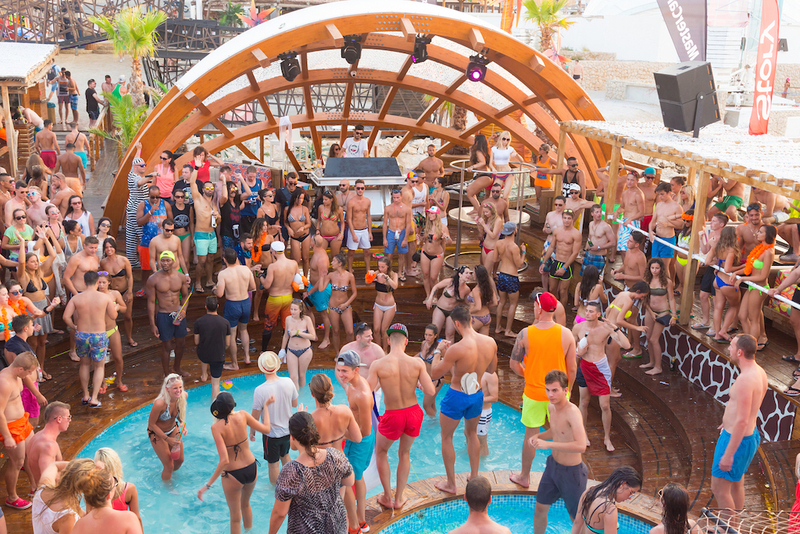 Expert tip: These days, Carpe Diem is the warm-up act for its offshore sister, Carpe Diem Beach, a short water taxi away at Stipanska (shih-pahn-skah) on Marinkovac (marr-in-cove-ahts) Island. The party continues until dawn all summer long. Top Sky Bar & Terrace: Even the older crowd parties into the wee hours on Hvar. Their venue of choice is a stunning place atop the Hotel Adriana with a 360-degree view of Hvar Harbor, garden terraces, and sofas you can sink into. Like many Croatian cities, Zadar (ZAH-dahr) is the product of thousands of years of occupation by foreign invaders. Illyrians, Romans, Venetians, and Italians all contributed to the city’s character by leaving their architecture, customs and tastes behind. But Zadar retained its Croatian character throughout, even when it was nearly destroyed by Allied bombs during World War II and again during the Homeland War when Serb forces demolished the structures that had been rebuilt during Tito’s regime. 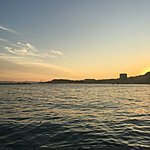 Today, Zadar’s center is a fascinating whole made of various parts like the 9th century St. Donatus church, a 16th city wall built by the Venetians, the ruins of a Roman forum, and five ornate wells and a water storage tank that enabled the city to sustain a prolonged attack by the Turks. A favorite attraction is the Gold and Silver Museum and its exhibit of elaborate, bejeweled vessels in the shapes of various body parts, each containing a bone or other relic. Paintings, church artifacts, and other artwork are on display, too. The museum is run by Benedictine nuns who stand at the entrance to sell tickets and make sure visitors are properly dressed when they enter their shrine to the saints. All of that history exists amid clusters of fashionable shops and a Riva that attracts crowds by day but really comes to life at night. 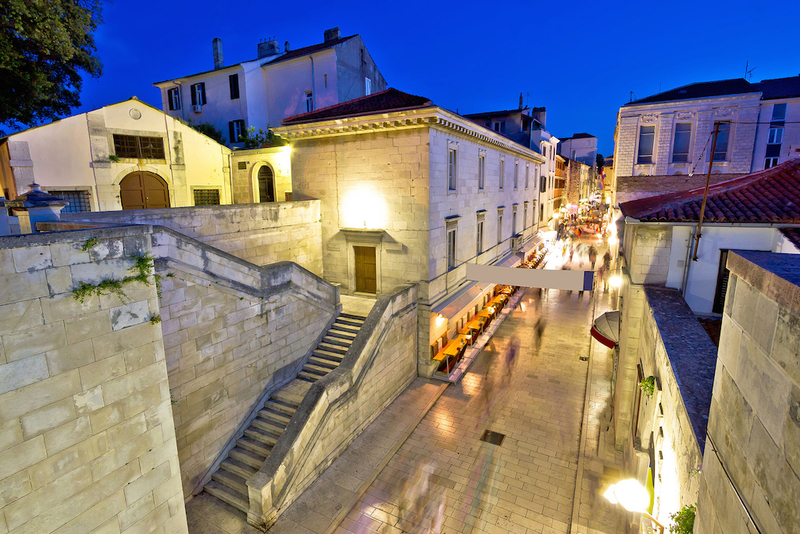 • Zadar’s Riva is a wide ribbon of stone path bordered by a grassy park on one side and the sea on the other. It runs along Old Town’s waterfront, where the nightly party starts as soon as the sun sets. This is when the Riva is lined with vendors selling candy, balloons, souvenirs, and ice cream while Dalmatian a capella groups called Klapa serenade the families, couples, and tourists, including folks on yachts who dock there. Mimes, dancers, fire-eaters, and jugglers all stake out their own section of seafront to entertain the crowds as the Sea Organ plays its unending melody, fueled by the ebb and flow of the current. There are bars and nightclubs off the Riva, but there’s no better show than this nightly celebration of life. 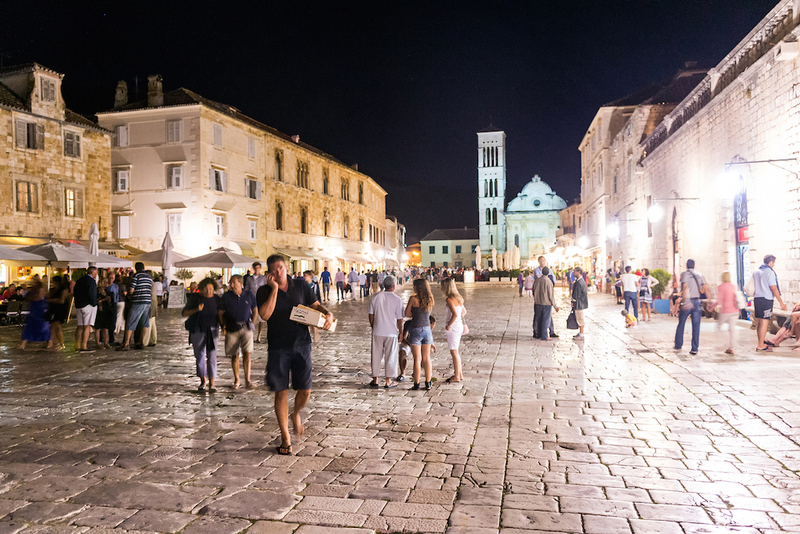 Expert tip: On the July night when the full moon rises each year, Zadar’s Riva turns off the lights and celebrates Croatian culture lit only by candles, torches, and moonlight. Pag Island is a tale of two cities. First there is Pag Town where most full-time residents live and produce Pag’s four signature products: Pag cheese, Pag lamb, Pag lace, and Pag salt. Then there is Novalja (no-vahl-yah) a nouveau riche town on the waterfront 12 miles north of Pag Town where folks from Zagreb and elsewhere have built their summer homes. The party is about a mile south of Novalja. Zrće Beach: Bars from as far away as Zagreb set up summer satellite operations on this pebble beach, which has been Pag’s Party Central since 2002. Zrće (zuhr-chay) is open during the day, but the music and dancing under the sun are tame compared to what happens after midnight when the under-30 crowd takes over and rocks the place until dawn. Expert tip: Shuttles pick up and drop off partygoers between Zrće and Novalja’s harbor throughout the night, so there is no worry about drinking and driving.